Did you ever go somewhere and fall in love at first sight? That’s how I feel about Bordeaux. We initially only stopped in the city so that we could rest for an evening in - what we’d heard was - a beautiful city before the final leg of our road trip down to Spain. I had no idea that it would become one of my favourite cities in Western Europe in about 0.8 seconds. Because we loved it so much, we actually decided to give it two more nights of exploration on our way back to (rainy) Belgium, this time with my brother and cousin in tow. 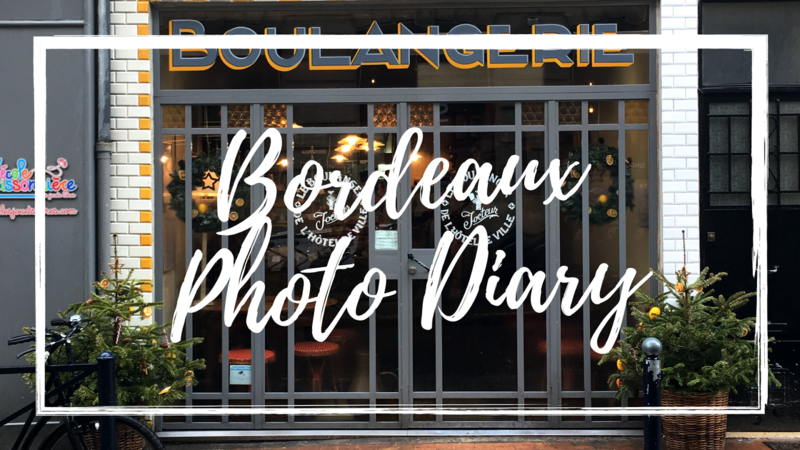 Our first afternoon consisted of walking around with Hobson, checking out Avenue Saint-Catherine, and sampling a few glasses of Bordeaux red at Cafe Edouard. Obviously, I’m a shopper and became immediately intrigued by the idea of a mile-long shopping street. Chaotic, but right up my metaphorical alley. On our second trip, I found a good tip for food across the river from the center, or where we were staying, at a really interesting restaurant called Magasin Général - lots of nice bio food. I wish we had made our reservation for a time when everything else in the area was open, but alas - an 8.30 dinner was what we had in store, and a glass of red wine with my steak tartare was just what the doctor ordered for our walk back across the river. The next day was a lot of eating pastries, drinking coffee, walking through Jardin Public to the mini Statue of Liberty ('A surprise for the 3 Americans', according to PJ) and then shopping, shopping, shopping. Bordeaux is apparently one of the rainiest places in France, according to a very cool tourist map we consulted, but we luckily only had the rain for about 30 minutes in the morning. In the evening we ventured out again for food, but we unluckily chose the busiest time so we had to 'settle' for Greek, though it was delicious. Fifty - the coolest luxury vintage store near our favourite bakery. The shop-owner is extremely charming and helpful. If I could have, I would have spent a lot more money instead of just buying the Italian leather boots I'm still obsessing over. Absolute must-visit for vintage lovers. I honestly can't wait to visit this city in the warmer months and for a bit longer; I wouldn't mind a visit to the City of Wine and maybe some vineyards in the surrounding area. My best friend and I are already planning a return. Croissants and a beautiful glass of red - I'm ready for you. If you have any other addresses for me to keep in mind, please let me know!